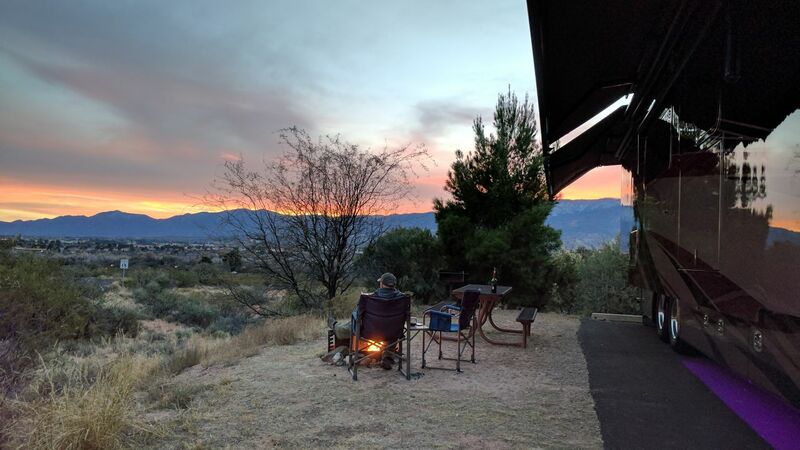 At the beginning of December we spent 6 days in Cottonwood, Arizona at Dead Horse Ranch State Park. This was our first time at this park and from what we experienced, it won’t be our last. 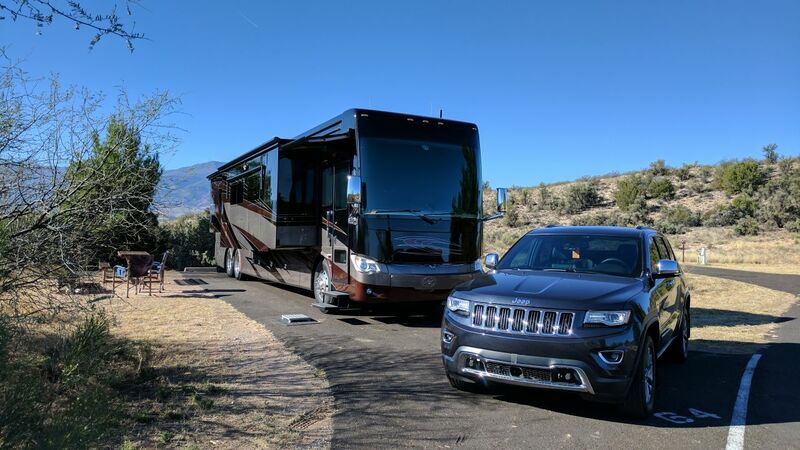 First of all, it was pretty easy to get to with our 45 foot motor home and tow. The sites themselves are very large and well spaced apart and the loop that we stayed in had water and 50 amp electric at every site. A dump station was located towards the entrance to the park. As you can see, we were pretty alone at this park this time of year. The weekend had a few more people but no where near at capacity. Sites are reserved online and the nice thing is if you hover over the site number on the map, it will pop up a window showing you what the site looks like, what accommodations are at the site and what length vehicle it can support. So this really takes the guessing out of booking. Google Maps is also a great tool to get a nice overhead shot of the park and figure out which way you want to face or if there are any trees or such in your way for your satellite dish. Our site was perfect for us. We were right on an end so only had neighbors on one side of us. And really, that was only for a couple of days as the rest of the time it was empty. We were facing so the sun was behind us, therefore not baking on our windshield and we had the beautiful mountains and city lights view to enjoy our evenings. Speaking of evenings, we were there the first week in December and while not cold during the day (upper 60’s, low 70’s), it did get down right chilly at night, sometimes into the soft freezing temps of the low 30’s. While not as high in elevation as Flagstaff to the north, Cottonwood, AZ does sit at a higher elevation than Phoenix to the south. Cottonwood itself is bigger than I was imagining. I was thinking it would be a quaint little town with cute shops and such because of their deep history of mining in the area. Not so. Cottonwood, dare I say, is a bustling town with a Super Walmart, couple other grocery stores, Home Depot, lots of shopping and restaurants. That’s not a bad thing, just not what we expected. 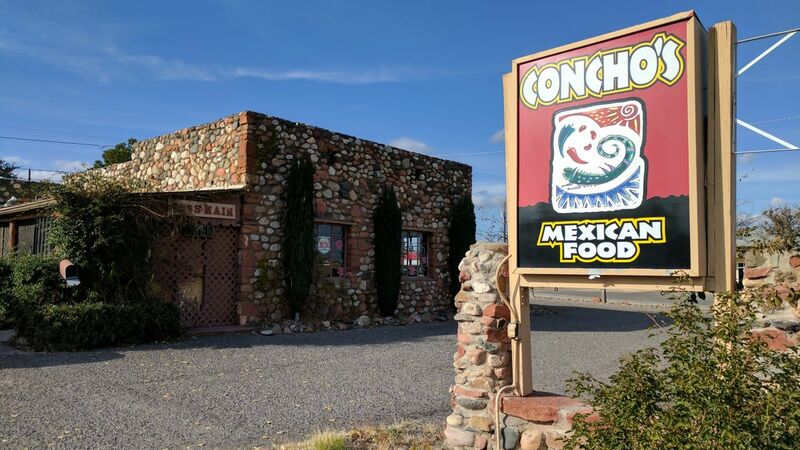 We did go into Cottonwood, just a quick 5 minute drive from the park, to go shopping and we found this lovely family owned and run Mexican restaurant, Concho’s, that was great! After talking with the guy at the register paying our bill, we had asked if this was his place. He smiled and said, “No, it’s my mother’s”. Come to find out she was in the kitchen with his Aunt cooking and his cousins and sisters were also there helping out. We love finding true family restaurants and hope that they thrive. If you ever find yourself in the area, we highly recommend you check out Concho’s. Cottonwood, did however make a great jumping off location to visit Jerome and Sedona, which were on our list of must see places. Located between the two towns, Jerome was an easy 20 minute drive one way and Sedona was half an hour in the opposite direction. 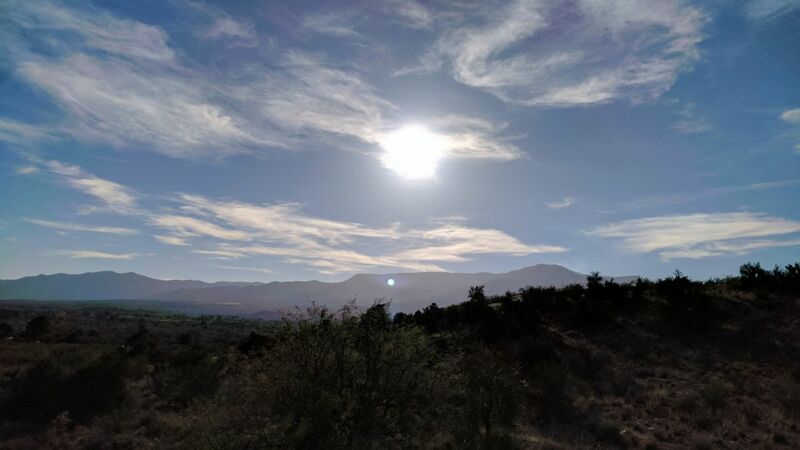 Trying not to make this post too long, I’m going to stop there and talk about Sedona and Jerome, Arizona in the next post. But if you ever find yourself wanting to explore this entire area, We highly recommend Dead Horse Ranch State Park in Cottonwood. It’s a great park that’s very quiet, very big rig friendly and centrally located to lots of attractions. We will definitely be back when in this area. We were there in the crowded season and it wasn’t nearly as pleasant then. Totally full with large crowds of people in each site. What seems spacious when empty was actually uncomfortably close when full to the brim. That’s not uncommon anymore, unfortunately. We used to enjoy a “resort” on the Texas Gulf Coast, Pioneer RV Resort. It’s become so crowded and out of control with groups of late-night partiers the park staff refuses to deal with, we stopped going there entirely. It’s hard to find an “off season” at Pioneer any more. It’s full of Snowbirds all winter, Spring Breakers in the Spring, Summer vacation families all Summer. We haven’t been in a while but Fall, before Thanksgiving was pretty quiet. Most of the Snowbirds come after Thanksgiving (and leave around Easter). Sorry to hear that. 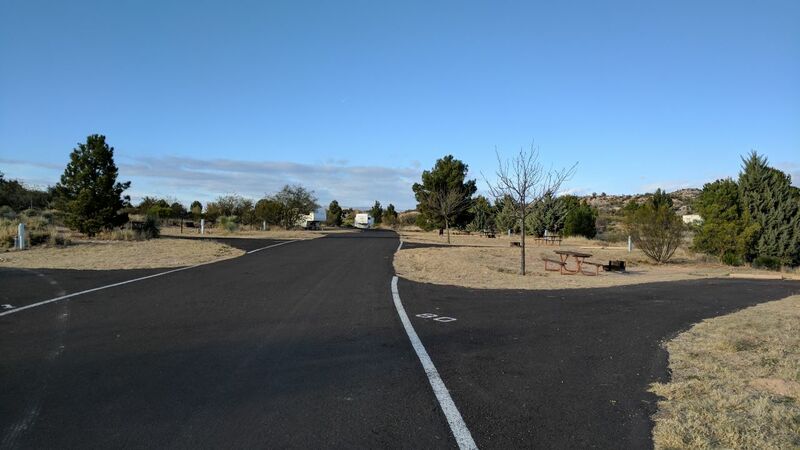 We have certainly seen our fair share of over crowded campgrounds that don’t make a pleasant stay. Thanks for posting. Didn’t know it was there. I saved it on Google Maps. Just perusing David & Brenda’s usual e-mails I get, as we’re hopeful to be Tiffin owners in the not to distant future! 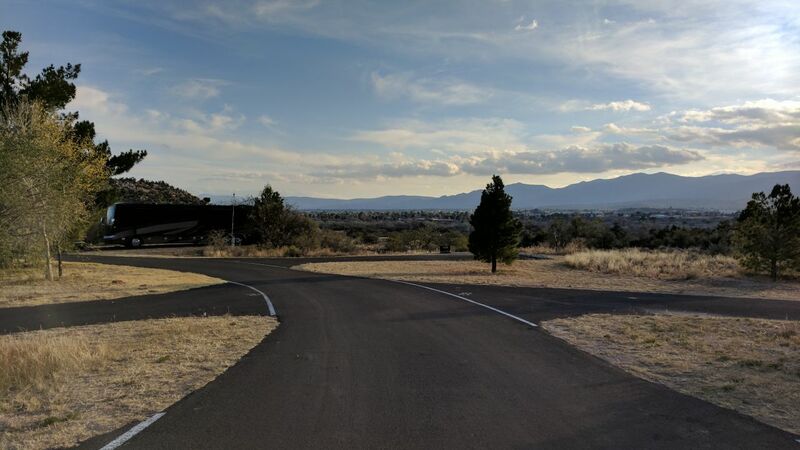 Will have to write this one on the list of places to see, as I’d love to spend some time checking out these three towns, albeit, we have driven through Sedona in the past and only stopped for fuel. 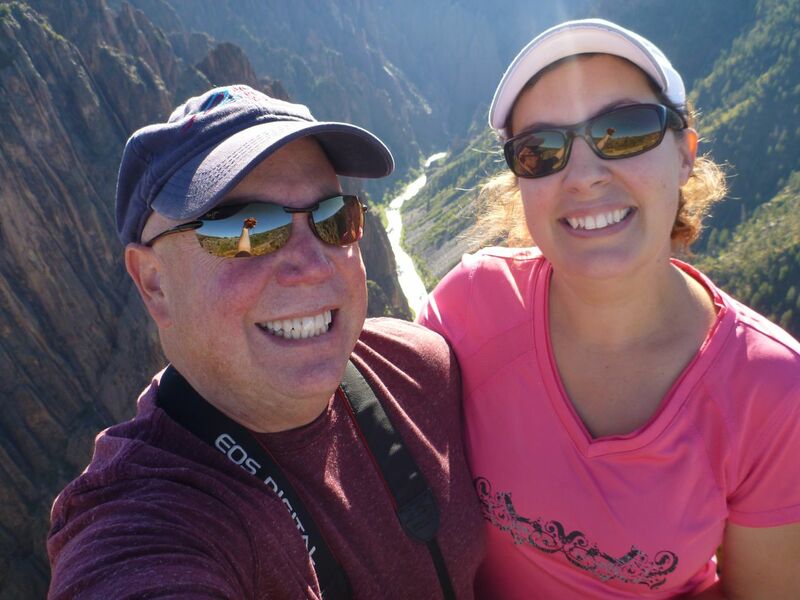 Thanks David/Brenda, and I’ll be watching for your post on Jerome & Sedona! Cottonwood at first seems a typical dried up old town but in their “Old Town” section had some neat shops and good restaurants. There was a nice Italian place “Pizzeria Bocce” with good pizza and good beer variety, too. Nice meeting you guys at Dead Horse! We frequently camp there throughout the year to escape the Phoenix heat. It’s one of our favorite spots. Hopefully my wife and I will be camp host there when we retire some day. 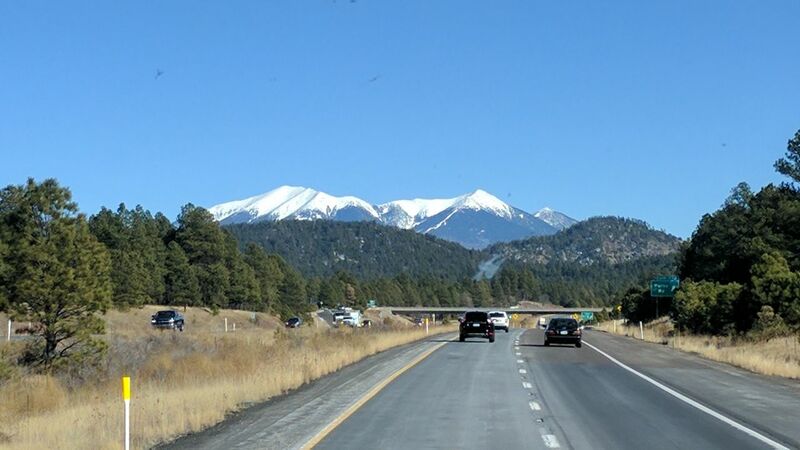 Yes it is the perfect base camp for visiting that part of Arizona.